About two years ago, we wrote about the amazing Tree Hotel in Sweden. 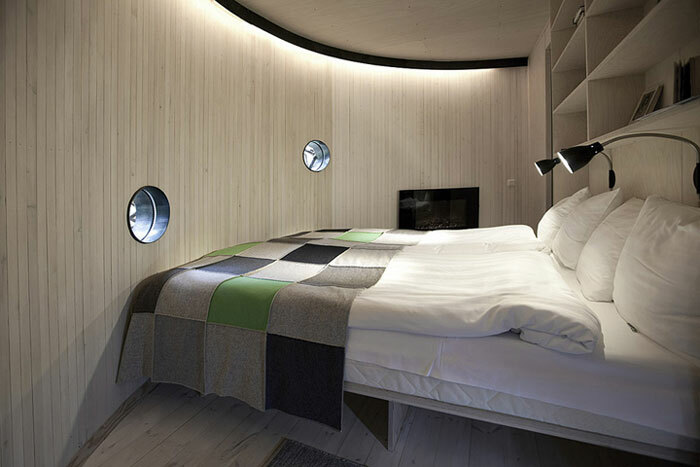 They now have more rooms, each one with its own theme, style and character. 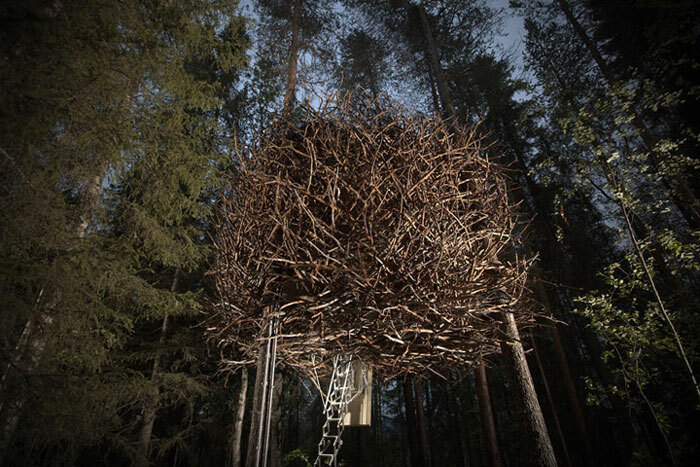 We recently came across pictures of The Bird’s Nest, which captured our attention… Designed by Inrednin Gsgruppen, this room is perched up in a tree and covered in twigs, and really look like it was built for our feathered friends. Isn’t it fun!? Make sure to check out all of their original rooms, like the Mirrorcube, the Blue Cube or the UFO, on the hotel’s website. The Tree Hotel is definitely a unique lodging experience!